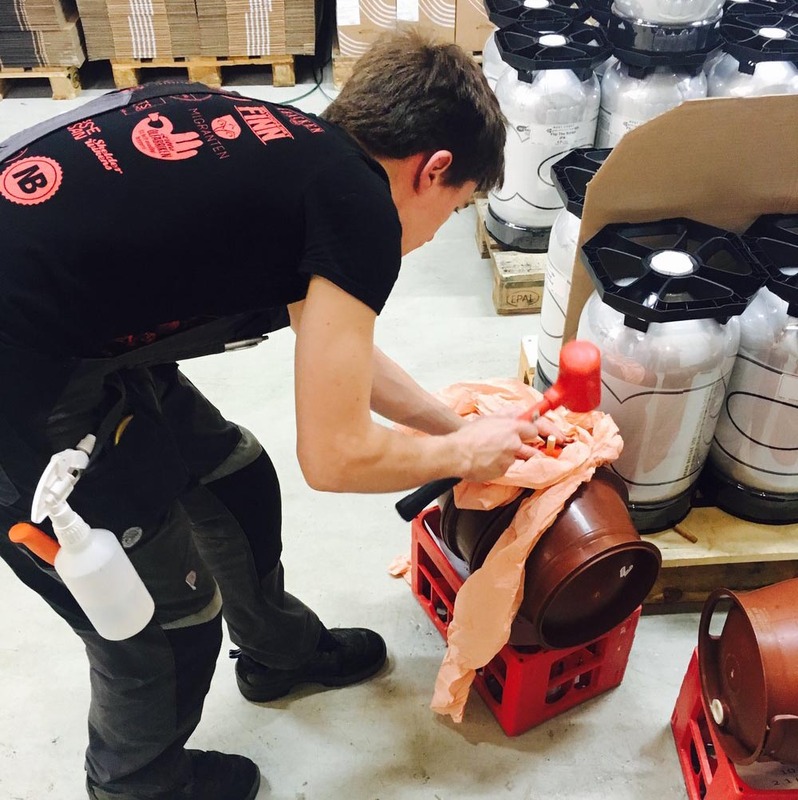 We are one of the few breweries to do ‘real ale’ in casks. Sometimes we use one of our standard beers and sometimes we make a special small batch just for a cask. Irrespective expect it to be low carbonated, rich in flavour and to go very quickly. A few bars in Gothenburg and Stockholm sell these from time to time, watch our website or social media pages to see when they have them. The picture is Karl sealing a pin (20liters) after filling. This is something we really want to grow as real ale is amazing.